98.05% of buyers said they were satisfied. $10.00 (25.01%) FREE shipping on all U.S. orders. We also ship internationally. Perfect for: Traveling, daytrips, hiking, camping, backpacking, and the everyday grind. Featuring: Taped interior seams for added strength and front storage pocket. The perfect travel duffle, weekend bag, travel bag, overnight bag, and every other bag you’ll ever need. Innovative attached stuff sack system offers simple, compact, and reliable packing down to the size of your palm without sacrificing the strength or stability you’ve come to trust from Montem. Vulcanized rubber zippers allowing for added strength and water resistance. The taped interior seams offer additional support and protection from the elements. Hand straps designed to be used either as carrying grips, or if needed you can use them as shoulder straps and wear your duffle as a pack. 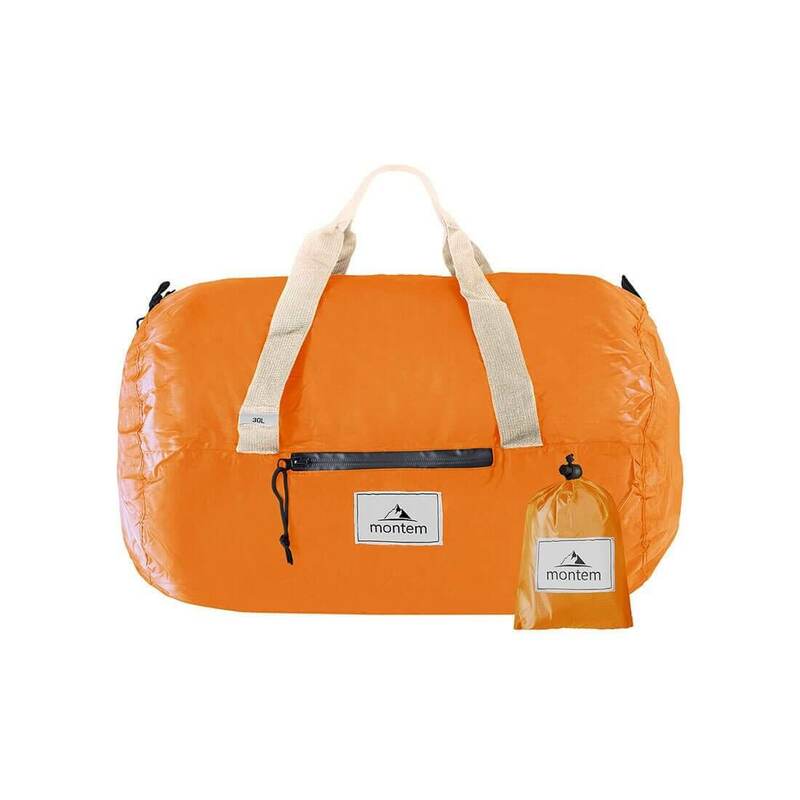 It is suitable for gym, sports, travel, camping, shopping and hiking. Fast packed into itself which means you don’t need to take an extra pouch, the handy bag is a must-have for any traveler. Packable travel bag for your convenience when on a vacation, unfold it from pocket to duffel bag, avoid overweight charges and use it for excess baggage. The satchel is perfect for day-to-day use for outdoors (occasional travel, vacation, hiking, camping, climbing, running, cycling, bike riding, outings, trips), baby bag (carry around diapers and wipes), sports (gym, yoga, soccer) or a great gift for everyone. Can the Montem Otavalo be used as carry-on luggage for major airlines? Yes, you can use your duffle as a carry-on item for major airlines. You can also put a TSA lock into the zipper pulls. Will my Montem trekking poles fit into the duffle bag? Only the Montem Ultra Z folding trekking poles will fit into the duffle bag. Does the duffle bag come with a shoulder strap? The duffle does not come with a shoulder strap. If you need help, you can always use the duffle as a backpack. This bag is exactly what I needed. Crafted out of 100% ripstop nylon - your pocket duffle bag can take a beating, is puncture resistant, and water resistant.I like the size.Excellent value for money. I would definitely buy this item again and highly recommended. i love the otavalo duffle bag, it is super reliable and easy to carry, great for a quick weekend trip and other day to day functions. thanks! Another product that is fresh to death. Montem has great products at great prices. This bag is very convenient for trips and stores easily when you get back. It can really hold a lot of stacks, no problem. I used this duffle on a recent trip to Germany and it was outstanding. Super light, super durable, and super compact. I was able to pack all of my clothes for the weekend trip. 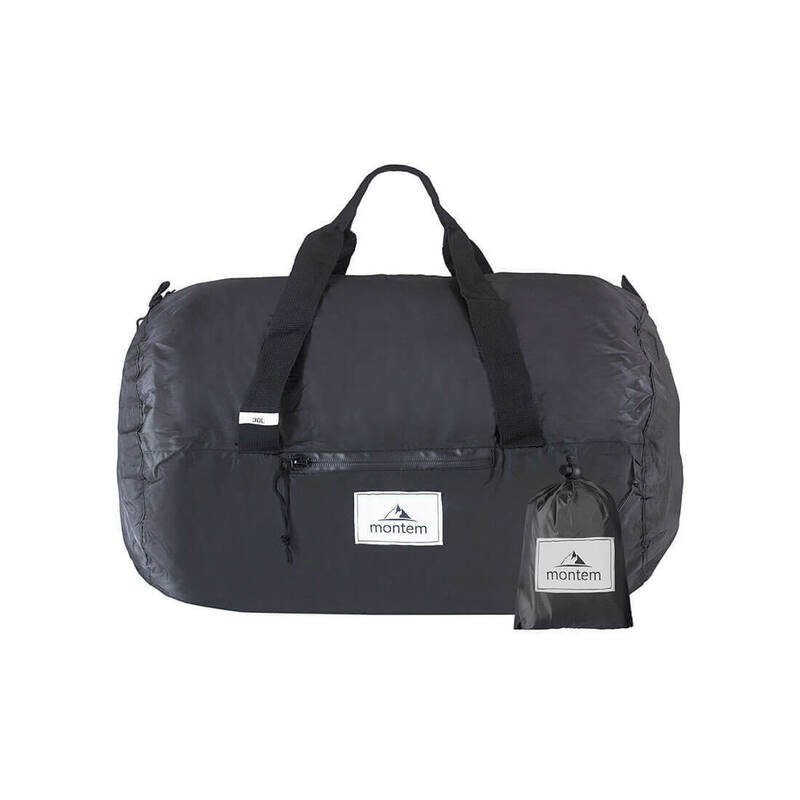 This duffle can definitelh fit a good amount of stuff for how small it packs up. 10/10 would recommend. I'm always on the go and this bag has been great far. It's lightweight and functional as I've used for multiple purposes, from the gym to weekend trips. I'd recommend this bag. And furthermore, it's got a very simple/sleek design at a very fair price. Highly recommend. Bought this bag for a weekend trip and now I use it to carry all of my creatine and 1 gallon bottles of water when I'm getting yolked at the gym. Definitely a solid, durable travel bag. It's super light weight and easy to fold back up into the pouch. It's a great bag. Keep up the awesome work guys!